Molly here – a mean new girl came today. UH OH! Near the gym we heard loud chattering and excitement. “Oh my gosh! A new Barbie, how exciting!” “I’m H. Skipper, who are you, new Barbie?” “Did you hear? She was born in New York but raised in Paris, France! She just moved here!” “Don’t crowd her, you’re making her uncomfortable!” and many more similar exclamations. I looked their way. Sure enough, there was a new, never-seen-before Barbie walking around with a crowd of other Barbies around her. I shuddered. I didn’t like Barbies. I had quite enough experience with them. They had tried to capture our dog, Coconut, in Runaway Coco Part 3. They had tried to ruin our closet of clothes at our old home in The Barbies Revenge Part 1, The Barbies Revenge 2 and The Barbies Revenge 3.They even crushed my heart at The Black Friday Party before Josefina and Cecile were adopted. Was I ready to encounter them again? Still, I was very curious about this new Barbie. Maybe this one was nice? I angrily walked up to the crowd. “Umm…hi. What’s your name?” I asked. 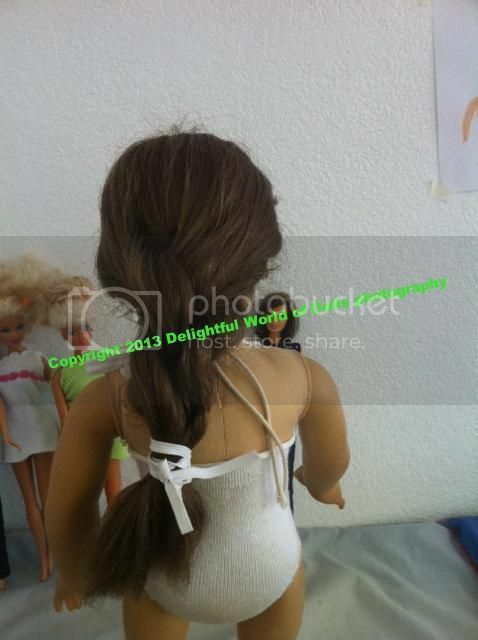 The New Barbie flipped her hair and answered, “Priscilla. Priscilla Venus. Venus, that’s right, just like the roman goddess of love.” I blinked. Roman? goddess? Of love? I didn’t think “Priscilla” was a Christian. Wasn’t Venus kinda…bad? “I heard you, um, were talking about my kind of doll,” I started out again. I cleared my throat again. “And it wasn’t very nice talk.” The new Barbie threw her head back and laughed. 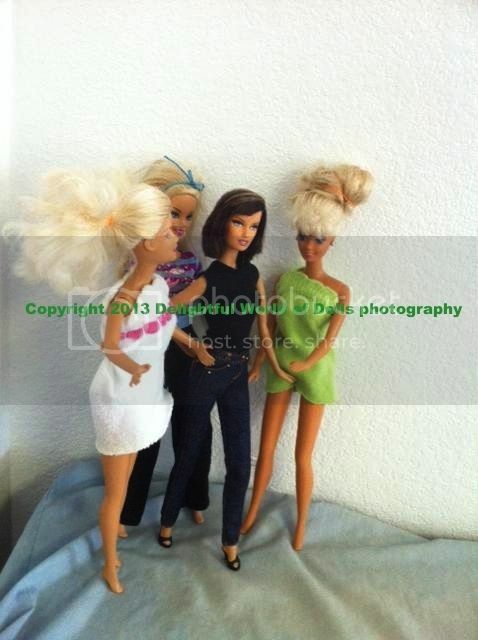 “And whatcha gonna do about it, hon?” I blushed as all the other Barbies chorused each other in laughter. I coughed, regained my bearings, and shot back, “I’m going to put a stop to it, that’s what I’ll do!” The Barbie’s were quiet. The New Barbie tilted her head. Then she burst out in laughter. “Did you hear that, girls? This AG doll is gonna “put a stop to it”!” They all laughed and laughed. 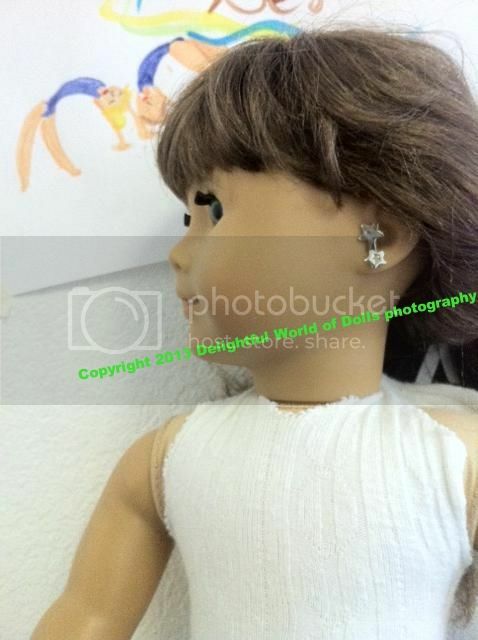 “Like an American Girl doll can do anything right!” one jeered. I looked down at my feet. With that she huffed off with all of her Barbie friends. Meanwhile, Priscilla was showing her “Fans” her “mad splits skills.” I snorted. “mad” splits skills? Seriously, she stunk at them! I could go WAY farther. 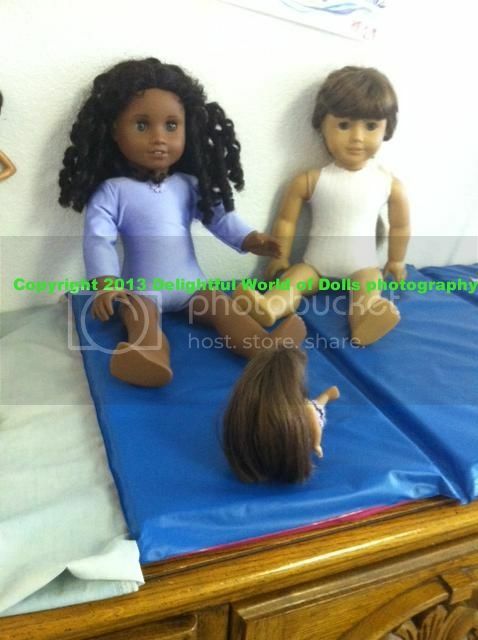 But those brain-washed Barbies were still shocked and amazed at it. 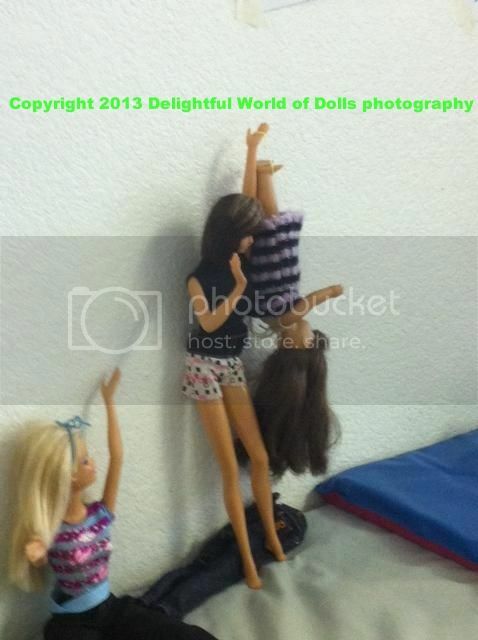 She also showed them her (not very good) back handspring. She stuck her proud, final pose. She called it the “Venus pose”. All the Barbie’s started trying it. I was annoyed, what was so amazing of her failing moves? As she did her head-stand splits (which, I have to admit, was pretty cool) Molly-Anne heard the commotion and decided to drop by, curious. “Fine, whatever, I don’t care if you tell your mom!” Priscilla huffed. “You’ll be SORRY you messed with our fun!” Then she and her friends huffed off angrily. YAY! HOW EXCITING! I LOVE “PARTERS!” LOL! P.S. Oh no! We’re praying! Is it just a cold or something, or is it a fever or anything like that? Thank you! Well, yesterday it was a sore throat, then today I have a bad cough and I’m sniffling *sniff, sniff* LOLOL! I feel like I have a fever but I don’t- it’s just hot! Hehe! Prizilla is a witch! she is so evil! trying to hurt little sweet molly anne!! i and calling molly and cecile names! i just don’t know what to say! all i can say is that i hope things get better! and Cecile! you rock! sticking up for little molly anne and molly to! Please let things get better! Ilm the popular girl here too, and I am NOT putting up with you!